ManorCare Health Services - Adelphi, located in that Maryland town, is a for-profit corporation with 170 certified beds. Its services include rehabilitation, independent and assisted living, chronic illness care, and care for Alzheimer's and dementia. It has a total of 136 residents in the latest head count. ManorCare - Adelphi is a couple of sizes larger than both the Maryland state and U.S. averages for nursing home populations (Maryland: 107.4; U.S.: 86.1). This ManorCare facility is a unit of HCR ManorCare, which in turn consists of Heartland Health Care and ManorCare Health Services. The combined entity operates over 250 facilities nationally. ManorCare Health Services has a strong presence in Baltimore and elsewhere in Maryland, including Towson, Bethesda, and Chevy Chase. Go to the website of ManorCare Health Services - Adelphi, and you'll get almost exactly the same home page, and boilerplate descriptions, that you'll find at the website of ManorCare Health Services - Hyattsville. That's no big surprise, since both facilities are owned by the same company. But the standardized uniform language would imply that these two facilities are equal in quality. They are just not. We always wonder how a company can operate two nursing homes very close to each other with sharply different Medicare ratings. Why is there not more consistency in quality? The Hyattsville facility's main Medicare ratings were identical with those of the ManorCare home in upscale Bethesda - that is to say, pretty decent. By comparison, ManorCare - Adelphi (which is less than two miles away from ManorCare - Hyattsville) is the underachieving kid sister. Before we get deeper into ManorCare Adelphi, let's look at the competition for this facility in the area. Althea Woodland Nursing Home: Not that it's reason for pride, but ManorCare - Adelphi can assert that its overall 2-star Medicare rating (below average) is no worse than that of Althea Woodland in Silver Spring. The ManorCare facility can justly brag that its 5-star rating for quality measures very much beats Althea Woodland's two stars. Sligo Creek Center: Sligo Creek Center in Takoma Park got even worse Medicare ratings than Althea Woodland (including an overall 1-star rating), so it poses even less competition for ManorCare - Adelphi. ManorCare Hyattsville: ManorCare - Adelphi does have one serious competitor within two miles, but luckily for this facility, the rival is another ManorCare home. The latter, in Hyattsville, gets better Medicare ratings in three of four categories (including its 4-star overall rating). At least these two facilities both got five stars for quality measures, which give an indication of how much care residents receive. First we turn to the negative side of the ledger. The last standard Medicare survey turned up 21 deficiencies at this ManorCare facility. That's a seriously large number: almost twice the Maryland average (11.5 deficiencies) and almost three times the national average (7.2 deficiencies). The 21 ManorCare - Adelphi deficiencies came in seven of the eight measured categories, including six deficiencies in administration, five in quality of care, four about resident rights, and one for mistreatment. Ouch. That spread suggests that this facility has a wide range of problems, both administrative and care-related. The health inspection alone would suffice to make this place undesirable, if it did not have counterweighing scores in other Medicare categories. ManorCare - Adelphi got another sub-par Medicare rating (2 stars this time) for staffing. It did get 3 stars in the RN category, although the amount of time residents saw RNs each day was slightly below the Maryland and U.S. averages. Residents also got less daily time with certified nursing assistants (over half an hour less, in fact), but they got a bit more than the average amount of time with physical therapists and LPNs and LVNs (licensed practical nurses, licensed vocational nurses). Total daily nurse staffing time with residents here added up to being almost exactly on par with the state and national averages, but Medicare didn't think that called for an average rating overall. The first inspection, in January, concerned accounting issues, including failing to maintain residents' personal fund records or furnish residents with quarterly statements. There was also a case of the facility's withdrawing money from a deceased resident's account without authorization. This is not the kind of issue that attracts the attention of nursing home lawyers because there is no injury or death. But it sure does not give you a warm fuzzy feeling, right? In March, Medicare inspectors wrote another report citing this facility for failing to give a prescribed medication to a resident, though staffers indicated that the med in question was unavailable. The inspectors returned again in May, for the standard Medicare inspection, but also to investigate four separate complaint issues. There was another accounting issue. This time, the office business manager broke the house rules in handling a resident's checks, for which infraction the facility dismissed her. A third complaint arose when staffers got their wires crossed about one lab order, and in another instance (for some reason) they obtained lab tests for a resident without orders to do so. Finally, Medicare faulted the facility for (we think they're saying) failing to come up with a quality assurance plan to correct the deficiencies. What we have, so far, is a facility with too many health deficiencies, a below-average staff, and a pile of complaints about its accounting practices and the way that nursing caregivers deviate from proper procedures. If the story were to end here, we would advise people to think twice before checking into this facility. Now for the positive side of the ledger. Medicare's quality measures - which give a statistical snapshot of the types and amounts of care residents get - present a very different picture than that of a place with 21 health inspection deficiencies. In this case, ManorCare - Adelphi achieved such impressive stats that its 5-star rating for quality measures seems almost an understatement. Medicare divides its stats by short-stay and long-stay residents. Five measured categories apply to both sets of residents. One notable category is that of pain: that is, whether residents report having pain to some serious extent. For both short-stay and long-stay residents at this facility, there were zero pain reports. On this score alone, ManorCare - Adelphi performed far ahead of the Maryland and U.S. averages. It also easily surpassed the state and U.S. averages in giving flu and pneumonia vaccinations - reaching over 99 percent of the short-stay residents, and 100 percent of the long-stayers. It was slightly more likely than average to dispense antipsychotic meds to short-term residents, but less than half as likely as the state and national averages to give them to long-stay residents. On the down side, the incidence of pressure ulcers (bed sores) was higher than average for both short-term and long-term residents here, especially the latter. For short-stay residents, however, ManorCare - Adelphi achieved an impressive rate of successful discharges: 74.5 percent, versus the Maryland average of 59.3 percent and the U.S. average of 56.9 percent. And once discharged, former ManorCare residents were less apt to need rehospitalization. But it is with respect to its long-stay residents that this facility achieved its most remarkable feats. In most Medicare categories, the lower the score, the better. 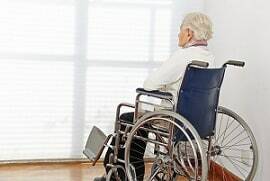 For instance, only 2 percent of long-stay residents at this ManorCare home suffered a fall with injury - less than the state and national averages. The long-stayers here were less than half as likely as average to experience a decline in their mobility or their independence in conducting routine activities. They were less than one-fourth as likely to get urinary tract infections (a mere 1 percent in all). The number of residents here having symptoms of depression, or being subjected to physical restraints: zero. Whenever a facility gets a "zero" in such categories, that means it's doing much better than the Maryland and U.S. averages, and that is the case here. But, great as these stats are, ManorCare - Adelphi had a quality measure metric that was even more impressive. Losing bowel or bladder control is a rampant issue at nursing homes everywhere. The average rate of incontinence, nationally, is 46.8 percent; the Maryland state average is even higher, at 58.5 percent. Statewide and nationally, around half of nursing home residents are incontinent. At ManorCare - Adelphi, the incontinence rate was 4.9 percent - so astonishingly low a figure that we had to go back to the Medicare report to make sure we'd read it right. Although this facility did not get a neat zero for this category, its 4.9-percent incontinence rate is the lowest we've seen anywhere to date - and about ten times lower than both the state and national averages. For this one point alone, ManorCare - Adelphi stands out. It's always a puzzle when a nursing home's Medicare scores are so uneven: how does a facility overcome lots of health deficiencies and its staffing limitations to produce great results regarding resident care and its inspections are a borderline disaster? Can rely on those quality statistics? We do not have the answers to these questions. Has a ManorCare nursing home made a mistake with someone you love that ended in an awful tragedy? We can help navigate Prince George's County's legal system, give you your legal options, and fight for justice and compensation for you. Our legal system and a Prince George's County jury will hold a nursing home accountable if the facility does not make the settlement offer that justice requires. Call our nursing home lawyers at Miller & Zois today at 800-553-8082 or get a FREE no obligation case review. Look at nursing home lawsuits filed in Maryland in 2016-17. There are 5-star rated nursing homes getting sued in these cases. But if you check the ratings on all of these nursing homes, you see a lot of nursing homes that, more often than not, have an awful rating. Information about nursing home UTI and bedsore lawsuits. Call our nursing home attorneys today at 1.800.553.8082 or get a FREE confidential and case evaluation online. Our senior living attorneys will help you sift through your litigation options and assist you in charting a clear path to maximizing the trial or settlement value of your claim.